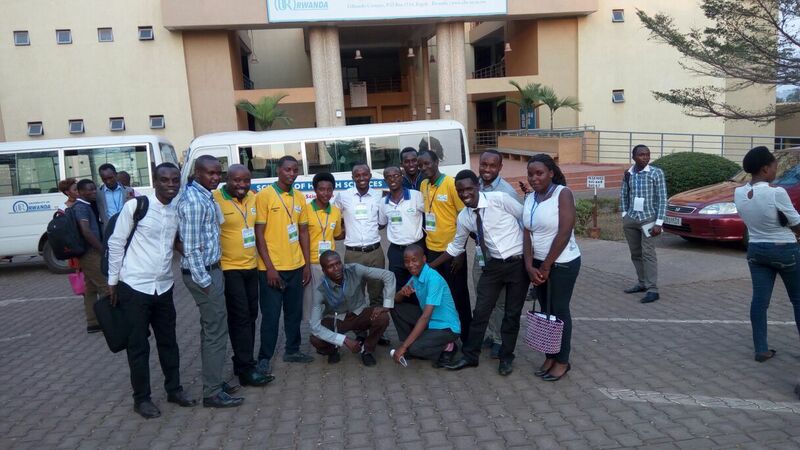 AFRICAN UNION STUDENTS’ COUNCIL (AUSC)’S WORLD HEALTH DAY CELEBRATION CAMPAIGN WITH AWARENESS RISING FOR THE 3RD SDG THROUGH NCD CONTROL IN THE KIGALI CITY. Major Title"What's the connection between diabetes and depression? How can I cope if I have both?" I am Dr. IRGUHA BANDORA Yves, MD, RN, BScN (Hons) Practitioner ,Medical Doctor from the University of Rwanda and the Founder and President of African Union Students’ Council (AUSC)”For The better Africa we Deserve” which is a Pan-African Organization that has vision to Build the better Africa We Deserve as deserving our next generations , and our Mission is to bring together the forces of All African Union Academicians to participate in the development of our continent of Africa basing on the (Sustainable Development Goals “SDGs”) of the United Nations (UN), with the current topic concerning the detailed AUSC Event CONCEPT NOTE for World Health Day Celebration Campaign being AUSC' s 1st Time World Health Day Celebration Campaign in Rwanda with Free Diabetes and Depression awareness raising in Rwanda starting this time from Kigali City while the World Health Day’s 2017 theme is ‘Depression: Let’s Talk’. The campaign in Kigali City will be taking place from Monday April 24th to Friday May 19th, 2017 involving the three Districts making the Kigali City on different Major Sites and its associated Conference aiming the celebration of the “WORLD HEALTH DAY” Will take place on Sunday May 21st, 2017, From 14h00’ to 16:30’ Kigali Local Time at Kigali Hilltop Hotel & Country Club . This Campaign with Free Diabetes Mellitus Screening with Diabetes involved for this World Health Day' s 2017 theme which is 'Depression: Let's Talk' basing of the previous World Health Day' s 2016 theme which was ' Diabetes' . The WHO focused World Health Day 2016, on diabetes – a largely preventable and treatable non-communicable disease that is rapidly increasing in numbers in many countries, most dramatically in low- and middle-income countries. Simple lifestyle measures have been shown to be effective in preventing or delaying the onset of type 2 diabetes, including maintaining normal body weight, engaging in regular physical activity, and eating a healthy diet. Diabetes can be controlled and managed to prevent complications through diagnosis, self-management education, and affordable treatment. The WHO estimates about 422 million people in the world have diabetes, with the disease the direct cause of some 1.5 million deaths. The goals of WHD 2016 are (1) scale up prevention, (2) strengthen care, and (3) enhance surveillance. World Health Day 2017, celebrated on 7 April, aimed to mobilize action on depression. This condition affects people of all ages, from all walks of life, in all countries. It impacts on people’s ability to carry out everyday tasks, with consequences for families, friends, and even communities, workplaces, and health care systems. At worst, depression can lead to self-inflicted injury and suicide. A better understanding of depression – which can be prevented and treated – will help reduce the stigma associated with the illness, and lead to more people seeking help. Therefore, African Union Students' Council (AUSC) President's Office has decided to invite more Rwandan based Non-governmental Organizations that are allowed to conduct health related events supported by their constitutions specified in their objectives, missions and visions to relate the current World Health Day 2017 Theme"Depression" with the Theme"Diabetes" of the previous World Health Day 2016 involving centers of mental health disabled people and non mental health disabled out patients consultations from different health care facilities around the Kigali City where this combination will help to assess both people living with depression and those living with diabetes will be able to talk about links between diabetes and depression making our efforts to raise awareness on both serious conditions and how possible it is to prevent , treat and control both Depression and Diabetes during the conference day on Sunday May 21st, 2017, From 14h00’ to 16:30’ Kigali Local Time at Kigali Hilltop Hotel & Country Club . In 1948, the WHO held the First World Health Assembly. The Assembly decided to celebrate 7 April of each year, with effect from 1950, as the World Health Day. The World Health Day is held to mark WHO's founding, and is seen as an opportunity by the organization to draw worldwide attention to a subject of major importance to global health each year. The United Nations’ World Health Organisation celebrates World Health Awareness Day each year on April 7. This year, WHO’s year-long focus is on depression, that is touted to be one of the main reasons behind mental illnesses across the world. This year’s theme Depression: Let’s Talk, aims to reach out and help people battling with the disorder. According to WHO’s latest estimates, between 2005-2015, there has been an 18 per cent increase in people dealing with depression, that is approximately 300 million people. A lot of people around us, who probably come across as anti-social, withdrawn or aloof might not be socially awkward, unlike what you think. Chances are they might be dealing with issues that they cannot open up about because of the lack of support, taboo and stigma associated with depression. Studies show that having diabetes doubles your risk of developing depression. It’s also possible that people with depression are more likely to develop diabetes. Untreated depression can make it more difficult to successfully manage your diabetes. Some studies show that having diabetes doubles your risk of developing depression. If diabetes-related health problems emerge, your risk for depression can increase even further. It remains unclear exactly why this is. Some researchers suggest that this could be due to diabetes' metabolic effect on brain function as well as the toll day-to-day management can take. A 2011 study found that people who have type 2 diabetes and experience symptoms of depression often have higher blood sugar levels. Additionally, the results of a separate 2011 study suggest that people who have both conditions are 82 percent more likely to experience a heart attack. Diabetes has different signs that can be various also having different consequences. This condition can also be debilitating, lowering your life quality, and if your diabetes is not managed properly , it can lead to more other health problems – However, through your daily diet , Diabetes can be well managed . Read full article from "Jen Reviews". Moreover, if you’re experiencing symptoms of depression, you should consult your doctor. They can help you determine if depression is causing your symptoms and make a diagnosis, if needed. They can also work with you to develop a treatment plan that best suits your needs. On behalf of the African Union Students’ Council (AUSC) Executive Committee, the AUSC President’s Office wishes to introduce the World Health Day Celebration Campaign starting from Monday April 24th to Friday May 19th, 2017 involving the three Districts of the Kigali City on different Major Sites and its associated Conference aiming the celebration of the “WORLD HEALTH DAY” that will take place on Sunday May 21st, 2017, From 14h00’ to 16:30’ Kigali Local Time at Kigali Hilltop Hotel & Country Club. Depression is commonly found as a co-morbid condition in chronic medical illnesses in general, and diabetes mellitus (DM) in particular. Depression in patients with DM represents a complex, co-morbid condition, which is the result of complicated interactions between bio-psycho-social and genetic factors. (repeated text) Depression originates as a direct consequence of neurochemical changes with DM, which harmfully affects health outcomes. The combination of diabetes and depression is associated with decrease in functional abilities and self-care. However this Event was shifted from April 7th, 2017 and postponed following the activities of KWIBUKA 23 that was taking place in Rwanda from April 7th to April 13th , 2017 , and the event shifted for the AUSC celebration of the World Health Day at the 1st Time in Rwanda is aiming to continue the African Union Students’ Council (AUSC)’s Awareness Rising For The 3rd Sustainable Development Goal (SDG) through Controlling Non-Communicable Diseases ( NCD) in the KIGALI CITY with the main purpose to Promote a Diabetic Free Rwandan Population especially for those living or Visiting the Kigali City by conducting a one whole Month Campaign for Earlier Detection of Abnormal Blood Sugars by offering a free of charge screening for Abnormal Blood Sugar that can be incidentally diagnosed as Diabetes Mellitus at the late stage. In fact, any late diagnosed Diabetes Mellitus can have a poor prognosis and leading to temporally and permanent disabilities including Diabetic wounds and associated neuropathies and amputations of affected limbs; while the complications of the untreated Diabetes Mellitus manifest quickly into acute kidney injuries and Chronic Kidney Diseases and kidneys failure . Basing on the importance on Civil Societies in the process of achieving the Sustainable development Goals (SDG) in the Country of Rwanda , the African Union Students’ Council (AUSC) Leadership takes this responsibility aiming to implement its mission , vision and objectives as enclosed below available in the AUSC Constitution with the article number 1 mentioning the African Union Students’ Council (AUSC)”For The Better Africa We Deserve”» in acronym AUSC being an Non-governmental Organization (NGO) governed by a Notarized constitution by the notary of the government of Rwanda Officially and subjected to the previsions of the law n°04/2012 of 17/02/2012 governing the organization and functioning of national non-governmental organizations. The Article 2 mentioning the seat of AUSC as established at KABAGENDWA Village, KAMASHASHI cell, NYARUGUNGA Sector, KICUKIRO District, and KIGALI City. However, it can be transferred elsewhere in Rwanda on decision of the General Assembly. The Article 3 mentioning the organization’s activities being exercised in the whole continent of Africa and Diaspora and which was created for an unlimited period. 1. Improve Africans youth and Academicians Research capacity. 4. Fight against communicable and non-communicable diseases in and outside our Continent. 6. Improve ethical Standards in delivering international services. 7. Advocate for Young Africans Challenges. 9. Improve scholarships opportunities to our members in countries and outside our continent of Africa. 10. Engage with our Organization in correspondence with Government, states, kingdoms and their Students from nursery schools, primary schools, secondary schools, universities inside our countries and outside our continent. The Article 5 mentioning Our Vision which is to Build the better Africa We Deserve as deserving our next generations and Our Mission which is to bring together the forces of All African Union Academicians to participate in the development of our continent of Africa basing on the (Sustainable Development Goals “SDGs”) of the United Nations (UN). Therefore, AUSC mission allowed the AUSC to network with different partners to this event including the Ministry of Health via the Rwanda Biomedical Center (RBC) in the department of Non-Communicable Diseases in order to raise Awareness For The 3rd Sustainable Development Goal (SDG) through controlling Non-Communicable Diseases (NCD) in the KIGALI CITY and in order to Promote a Diabetic Free Rwandan Population with Earlier Detection of Abnormal Blood Sugars in the 1000 target population composed of the resident and non-resident of the Kigali City. Below is the United Nations 17 Sustainable Development Goals (SDGs) developed to be achieved by all different Countries worldwide replaced the 8 Millennium Development Goals (MDGs), and AUSC Leadership has magnified them to be adapted to the developed AUSC International Action Plans 2016-2019,2019-2020,2022-2025,2025-2028,2028-2031 by starting from the AUSC International Action Plan 2016-2019 with all its planned broad and specific activities which are S.M.A.R.T goals(Specific in strategies, Measurable in one minute management with motivating source, Achievable in actions oriented in an agreement in an ambitious way aligned with corporate goals, Realistic in a reasonable resourced results-based way, Time-bound in a time-sensitive cost-limited and trackable in one minute manager of a timeframe. 17) PARTNERSHIPS FOR THE GOALS IN AFRICA. The expected population sum is 1000 People living or visiting the Kigali City who are Aged between 12 years Old and above with expected outcome being to detect incidental abnormal blood sugars and earlier Signs and symptoms of Diabetes and other Non-Communicable Diseases among the whole screened population and thus be able to report the affected cases to the Ministry of Health through the Rwanda Biomedical Center (RBC) and increase the partnership with the collaborative Non-Governmental Organizations in this event while the African Union Students’ Council (AUSC) will be the overall Manger of this whole event, there is as well partners to this event as invited by the AUSC to facilitate the full coverage of the Kigali City and being able to obtain a higher number of mentioned as target population. V. DISTRIBUTION OF PARTNERING NON-GOVERNMENTAL ORGANIZATIONS WITHIN THIS EVENT PERFORMANCE BASING ON DIFFERENT MAJOR SITES AND SUB SITES. -Kicukiro District Resident targeted Population: 300 People to be screened in the period of 4 weeks. -Kicukiro District Non Resident Visitors and Passengers: 50 People to be screened in the period of 4 weeks. 3) Masaka District Hospital/ Manager: Mr Niyonsenga Norbert, President of Orphan’s Hope Entertainment Organization (OHEO): 100 People to be screened in the period of 1 week. 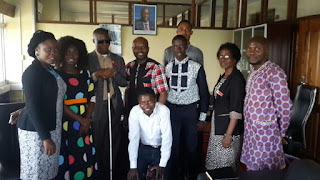 4) Caraes Kicukiro Psychiatric Center/Manager: Mr Niyonsenga Norbert, President of Orphan’s Hope Entertainment Organization (OHEO): 100 Mental Health Disabled People to be screened in the period of 1 week. -Nyarugenge District Resident targeted Population: 300 People to be screened in the period of 4 weeks. -Nyarugenge District Non Resident Visitors and Passengers: 50 People to be screened in the period of 4 weeks. 3) Kabusunzu Health Center / Manager: Ms Twizerimana Dalila, Advisor to the President of Rwanda Nursing Sciences Students’ Organization (RNSSO): 100 People to be screened in the period of 1 week. 4) Kimisagara Health Center /Manager: Ms Twizerimana Dalila, Advisor to the President of Rwanda Nursing Sciences Students’ Organization (RNSSO): 100 People to be screened in the period of 1 week. -Gasabo District Resident targeted Population: 200 People to be screened in the period of 4 weeks. -Gasabo District Non Resident Visitors and Passengers: 100 People to be screened in the period of 4 weeks. 7) Kimironko Market / Manager: Miss Mbabazi Grace, Vice President of Conflict Resolution Committee Rwanda Nursing Sciences Students’ Organization (RNSSO): 100 People to be screened in the period of 1 week. 8) Kibagabaga District Hospital/Manager: Miss Mbabazi Grace, Vice President of Conflict Resolution Committee Rwanda Nursing Sciences Students’ Organization (RNSSO): 100 People to be screened in the period of 1 week. 9) Every sub site will be managed by one manager and two volunteer health care professionals who will be screening including 1 Professional Nurse and 1 Health Sciences Student with mixed Gender from the department of General medicine and Surgery and General Nursing in the period of 4 weeks , (From April 24th to May 19th, 2017). VI. 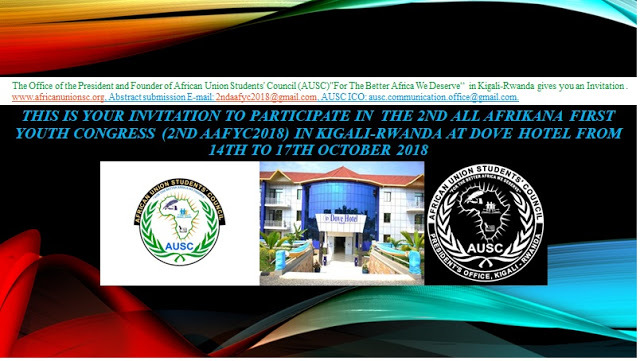 THE BUDGET for “African Union Students’ Council (AUSC)’s Awareness Rising For The 3rd SDG through NCD Control in the KIGALI CITY” and Its Associated Conference aiming the “celebration of World Health Day”. Follow the links below for health sciences journals and websites that give more details on the close relationship between high blood sugar and depression. 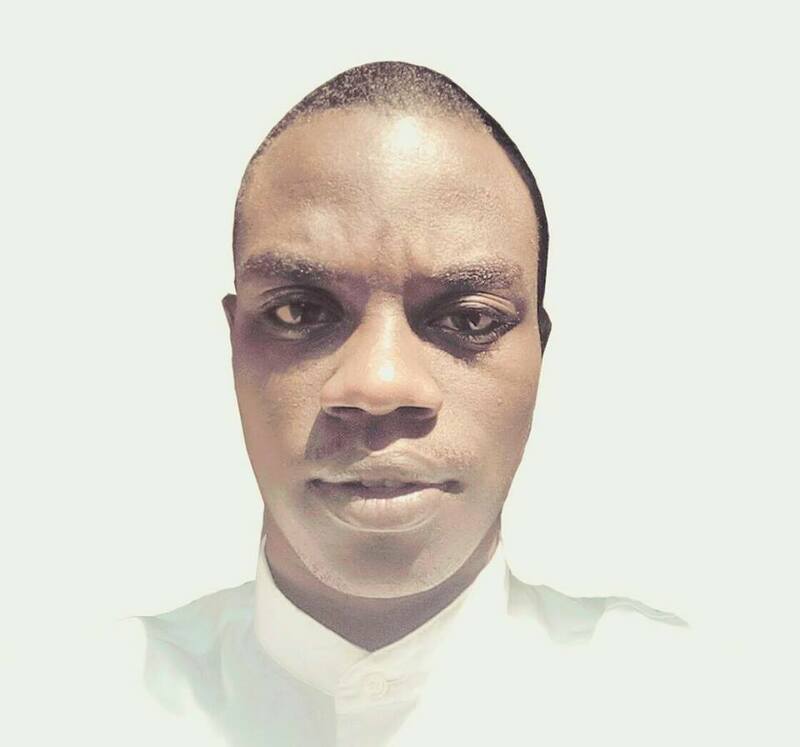 Dr. IRAGUHA BANDORA Yves, MD,RN, BScN (Hons).